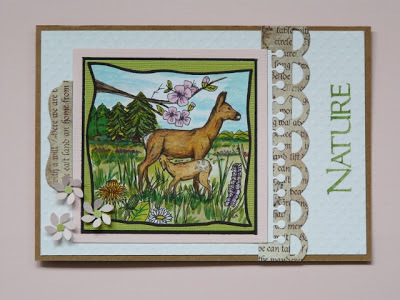 We are carrying on our theme for the month of June - "Realistic Forest Animals". There are not many entries, but I think everyone must be busy getting ready for the end of school and the beginning of a nice summer. If you wish to jump to mr. linky click here, but if you do you will miss the great new inspiration below. These are fantastic scenes. hugs Mrs a.